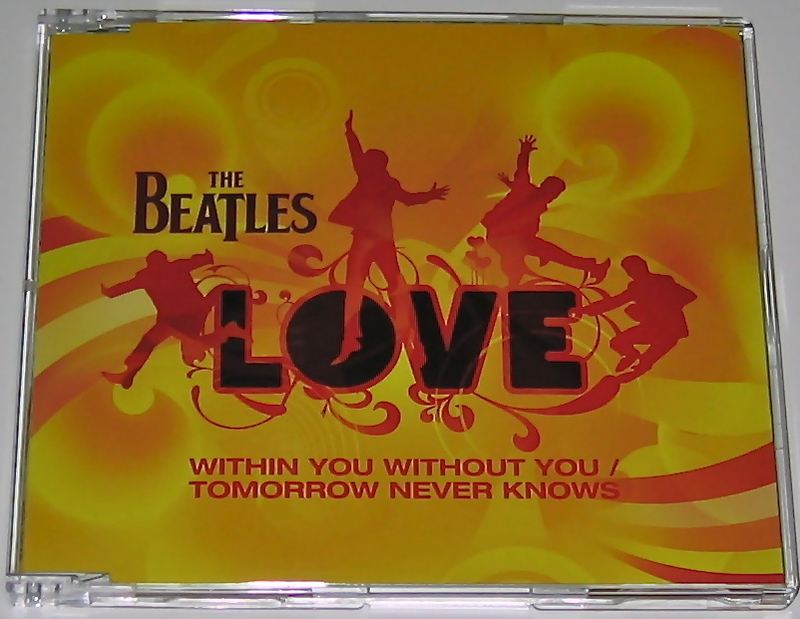 Following my post on some of the release variations I have in my collection of the Beatles “Love” CDs and LP, I had a note from Ned in the United States who has a very interesting and unique CD single from the “Love” releases. 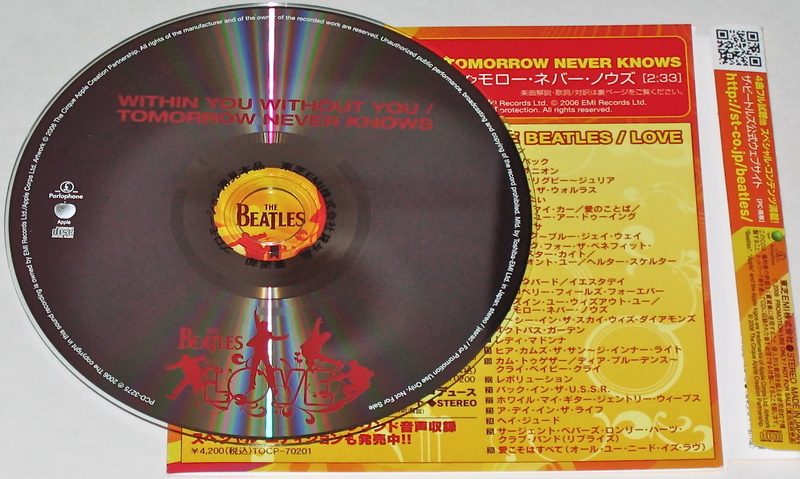 According to Ned this CD single was created for Japanese radio stations and issued by EMI Japan without the full knowledge of EMI’s London office. When they found out it was withdrawn shortly after release, thus making it a very collectable item. “It is absolutely NOT an unauthorized release but remains the only CD single issued from the “Love” project”, says Ned. Ned writes: “I mail ordered this from Japan right at the time of the opening of the show in Vegas. I believe it ran me around US$20 – including shipping. I have no idea what the value is now as I only collect what I like and not what might be worth something someday. Apparently, Yoko Ono had (has) the same collecting philosophy and it has served her well. The other item is a withdrawn, mid-80’s CD release of Lennon’s Shaved Fish – manufactured in Japan for the U.S. market – that has slightly different artwork on it. “It was withdrawn because EMI either failed to use “No-Noise” on the master tapes or the tapes they did use were from inferior sources. Either way, the hiss is more apparent than the common one. But the fact that it was quickly pulled off the market makes it of interest”, says Ned. But back to the “Love” promo CD. “Promo Sample” is printed in Japanese around the hub. The catalogue number on the disc is PCD-3275. 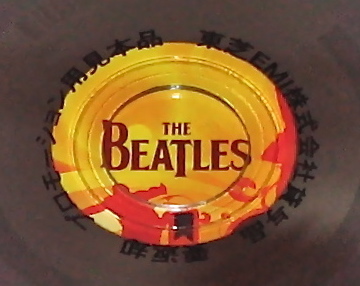 This entry was posted in Beatles, Beatles Collecting, Beatles Music, Beatles Related, John Lennon, Rare Beatles, Uncategorized and tagged Apple Records, Beatles, Beatles "Love", Beatles Collecting, Beatles promo copy, Beatles Related, Cirque du Soleil, George Martin, Japanese Beatles, John Lennon, Music, Rare Beatles, The Beatles Love by beatlesblogger. Bookmark the permalink.